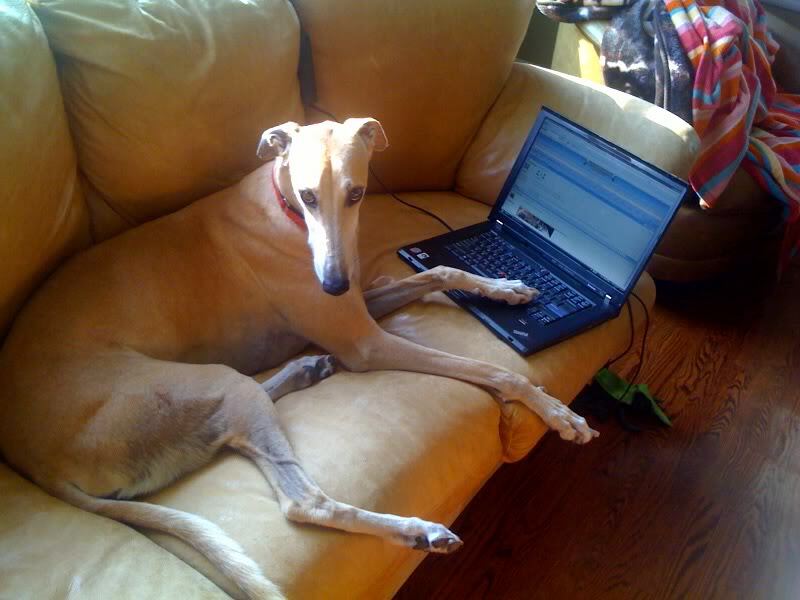 Welcome to Greyhound Articles Online! This website houses a library of greyhound articles that were written between 1899 to the present. To enlarge or reduce text or photo size, please use “ctrl+” or “ctrl-“. For submissions or to contact the webmistress use the ~Contact~ tab above. Please be aware that some articles may not always reflect current thinking or methodology; they are presented here for historical perspective and most have an asterisk (*) next to the title. On the other hand, some very old articles are as current today as they were 25 or so years ago; you will have to use your discretion when following suggestions in some of the older articles. As you can see from the categories and subcategories, the subject matter is quite diverse. Many thanks go to the writers, photographers and artists listed below who have allowed their work to be published here. Please respect their work and do not reprint anything without their permission. If you wish to do so, use the ~Contact~ tab and the webmistress will try to put you in touch with the right people so that you may ask for their permission. Even better, join us on Facebook and indulge in lively conversations and get interesting and breaking news. For more detailed info about this site or for more on how to use it, or even to find out how to add an article or two to this site, please keep reading this page. If not and you’re good to go, well, happy reading! OK, where do all these articles come from? Much of the material here is from Celebrating Greyhounds Magazine, 1996 through 2001, and from WAG Tales, a magazine-formatted greyhound adoption group newsletter, 1993 through 2005, although more recent and original articles are here too. 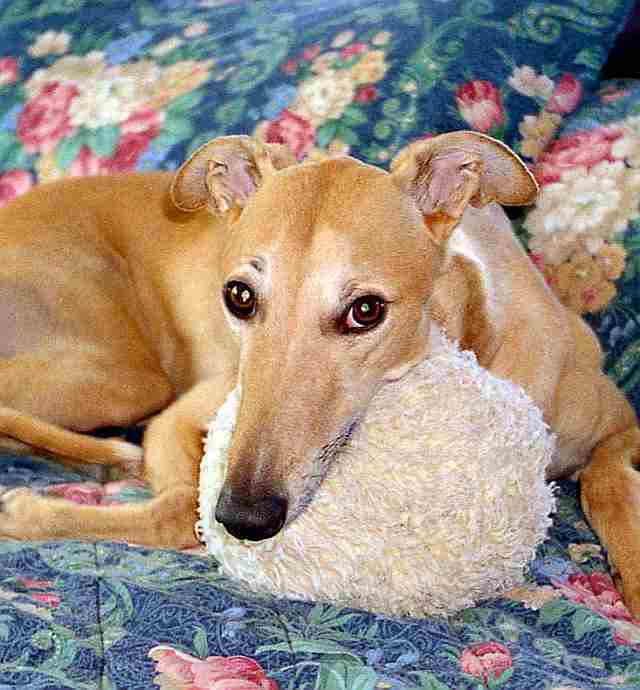 Articles from greyhound adoption newsletters are especially welcomed! Some articles from Greyhounds Today, a greyhound adoption-oriented magazine published from 1992-1998 by Jeanette Steiner, have been added. CG Magazine, as it’s now called, is still in publication. Back issues from 2000 on are available. Although we are not affiliated with the magazine or The Greyhound Project, we urge you to subscribe and to purchase back issues by visiting here. The first goal is is to make available previously-published material going back several decades that was no longer accessible; the second goal is to present recent original or reprinted material that authors want to make available online to interested readers in real time. As such, it is a repository of articles and ideas – a library, if you will – that may or may not reflect current thinking or methodology. Article original publication dates are listed wherever possible at the end of each article. This will give the reader a historical perspective about how a subject was perceived in any particular time frame. We do not advocate one way of thinking over another as that is not the purpose of a library. Take from it what you will; that is our overall purpose. Some folks may prefer to use a mouse when going through long lists of articles. You can find articles by plain old scrolling or by clicking on the main category heading for a complete linkable list of the articles within it, including subcategories. You might find it easier to use a mouse if you’re on a laptop, although people who are whizzes at using laptops should have no trouble using the drop-down boxes. Help us find more articles. Be our partner or a contributor; help us dig up those great articles and photos. 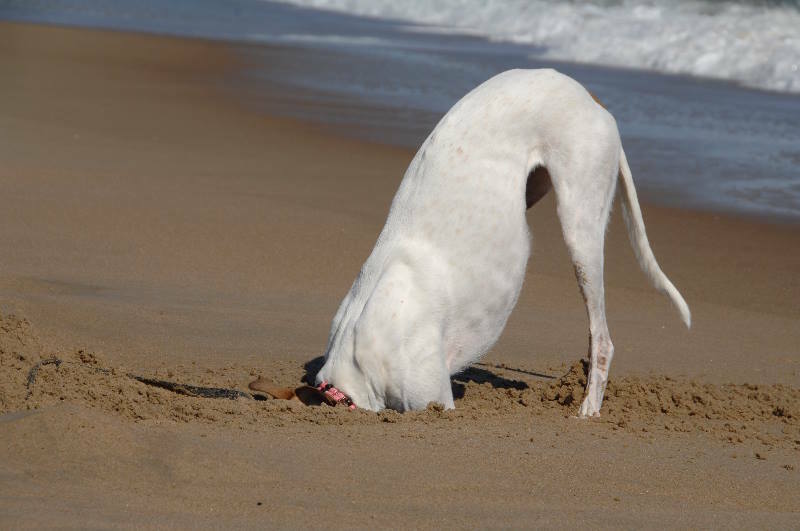 If you see a great article or post or if you’ve written something that might belong here, please drop me a line and tell me about it at greyhoundarticles@gmail.com or use the ~Contact~ tab so we can put it online. If you’ve written an article for CG Magazine between 1996 and 2001 and can’t find it, not to worry; I probably have it. If you’ve written an article for other sources, it can be posted here if you own the rights to it. Scanned articles are fine if no files are available. We need your digital photos too. We also welcome wonderful photos of your greyhounds, especially those who are doing something fun and interesting and who are with other animals and with people. Rest assured, nothing will be posted here without the creator’s permission. If you read an article with no or few photos, that means we need some for that article. ALL RIGHTS RESERVED. All materials on this website are the property of the authors, artists, and photographers who created them and may not be reproduced or reprinted without their express written permission. If your hound is sick, please visit your veterinarian; do not rely on articles as your only source of information. Greyhound Articles Online tries to present fun and accurate information that might be of interest to greyhound adopters but we do not necessarily agree with every article, verify accuracy of every article nor can we be held legally liable for content published here. We don’t advertise products but would like to be alerted of useful products we can all use. Thanks for reading. We wish all the best to you and your hounds. Lynda Adame, Joyce Adams, Lori Amato, Dennis Appel, Robyn Baree, Jennifer Bachelor, Nancy Beach, Joan Belle Isle, the late Carla Benoist, Pamela Blackshaw, Shelley Ann Bunch-Lake DVM, Patricia Gail Burnham, the late Peter Brandon, Stephanie Brandon, Cara Brockhoff, Joee Cam, Michele Carnevale, Julia Carter DVM, Cynthia Cash, Connie Cassidy, Craig Cerreta, Diana Cogningi, Jack and Amy Corrigan, the late John Cram, Kate Crawford, Laura Culbert DVM, Eloise Danniel, Ann Davis, Michelle Day, Kris Dees, the late Joan Dillon, Laurel Drew, the late Lauren Emery, Cathy Feltych, Jey Flick, Jody Frederick, Dan Gauss, Leah P. Gearheart, Cheryl Giebel, Ellie Goldstein, Colleen Gonzales, Jo Gould, Lauren Granillo, Jordan Graustark, Elaine Greenwood, Melody Grieves, Aaron Hicks, Marie Jobin, Joanne Johnson, Ann E. Kenny, Cliff Kerr, Deb Kilar, Cheryl Kovaly, Robin Krautbauer, Nancy Hansen, Hal Hawley, Barbara Heisey, Marcia Herman, Linda Hestianna, Nancy Hudson, George Kozoris, Brooke Lim, Lee Livingood, Carole Machery DVM, Karen Marion, Deb Martin, Donna McCormack, Dennis McKeon, Terry Mercatante, Kris Metz, Cyn Mobley, Praveen Mutalik, Joan Nageldinger, Ann Neal, Maureen Nelms, Jennifer Nelson, Pat Nelson, Sharrie Norton, John Parker, Mary Pat Parkhill, Ann Penfield, Patti Peterson, the late Merci Riccardi, Pam Davis Rush, Diane Rustin, Julia Sayre, the late Terrill Schukraft, Helen Shreve, Eliana Siciliano, Claire Sygiel, Cindy Sisson, the late Therese Skinner, Sharon and Art Stefanski, Suzanne Stack DVM, Jeanette Steiner, Kim Campbell Thornton, Jan Hugo Tragianese, Katie Traxel, Carla Trottier, Ruth Tuccio, Nancy Waddell, Debbie Wagner, Erin Williams, Marcia Wood, and Jan Zulkelski. All materials on this website are the property of the authors, artists, and photographers who created them and may not be reproduced or reprinted without their express written permission.